More than 15 years ago I decided that I should commit wholeheartedly to how, as a visual artist, I might effectively contribute to a broader understanding of the challenge of environmental change. Living on the UK’s dynamic East Anglia Coast, I started a series of projects with my immediate community to become more tangibly linked with coastal and estuarine change. Additionally, as a senior academic at Middlesex University London, I am able to access and exchange knowledge across an extremely broad disciplinary spectrum. My approach to community collaboration has been to explore practical projects to both enhance understanding of estuarine and coastal processes and promote a greater sense of ownership and responsibility for the immediate environment. 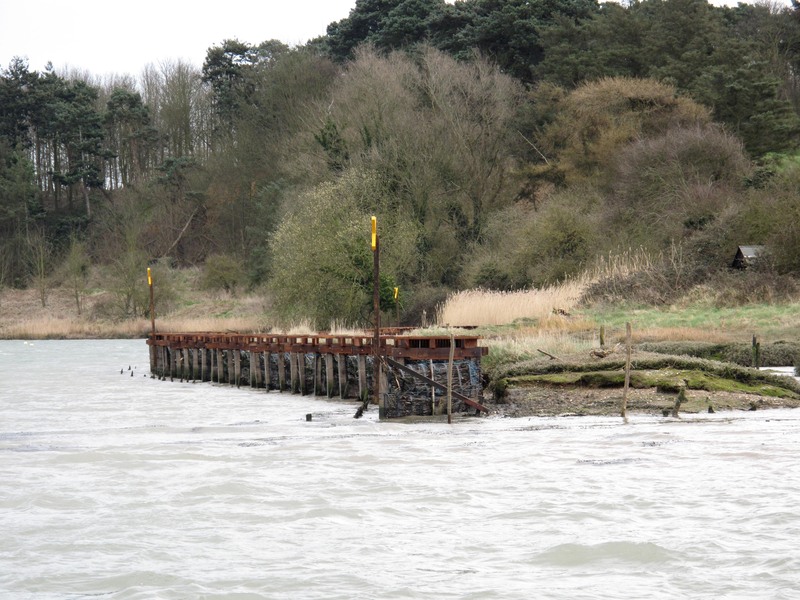 In 2009, I developed the first of what has now become a series of projects upon the intertidal zone, to build a structure to attenuate wave and tidal energy and the effects of scour on a 2.5 ha saltmarsh site at Sutton on the River Deben in Suffolk. The structure is a 100 metre tidal fence constructed as a series of 60 x 2 metre wide baffle structures. Each of these is a permeable screen of a durable Tensar envelope stuffed with brushwood stretched between Green Oak posts at 45 degrees to the ebb tide. The intention is to allow the tide to flow freely through the structure but to slow its velocity and therefore mitigate the effects of erosion upon the saltmarsh lying immediately in its shelter. As a result of incremental sea level rise and isostatic change our fringing saltmarshes are severely under stress, this is exacerbated by the effect of squeeze caused by the system of sea walls historically constructed to reclaim land for agriculture. Whilst it is probably inevitable that in due course many of these walls will either fail or be retreated, understandably the landowning community is extremely reluctant to consider this. In the meantime we consider the management of those saltmarsh sites that we retain to be a necessary interim measure whilst the community reaches its own conclusions over the implications of coastal change.